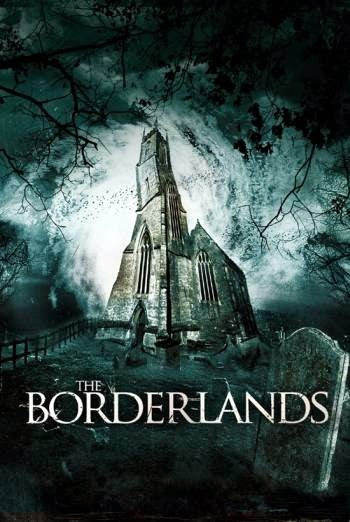 After being highly recommended by a friend of mine several months ago, I finally managed to check out Elliot Goldner's found footage offering from the UK, The Borderlands. 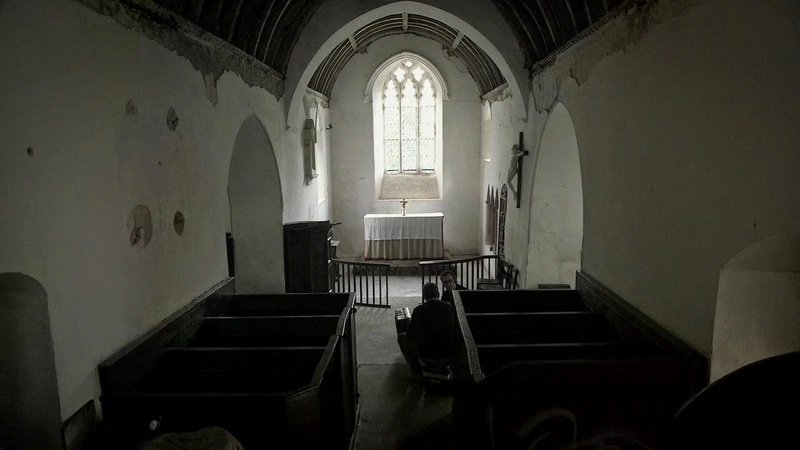 A team is sent by the Vatican to the English countryside to investigate unexplained events at a local church. Now this is how you make a found footage film, people! I think it is a crime that this film is not more well known among horror fans, at least on this side of the pond. To be honest, I'm shocked that North American genre festivals weren't lining up to screen this after its showing at London's Frightfest in 2013. The Borderlands has everything going for it. We spend a lot of time getting to know the two inherently likable leads Gray (Robin Hill) and Deacon (Gordon Kennedy) as due to some fine storytelling the setting was almost immediately unsettling. The use of the head cams was a stroke of genius for it not only supplied a more digestible viewpoint, but also sidestepped the usual why-are-they-still-filming logistics. I can't really stress enough how much of a found footage master class this was. It should also be noted that without the benefit of a score, most of the tension had to be created visually and the skill involved in the last act was admirable. 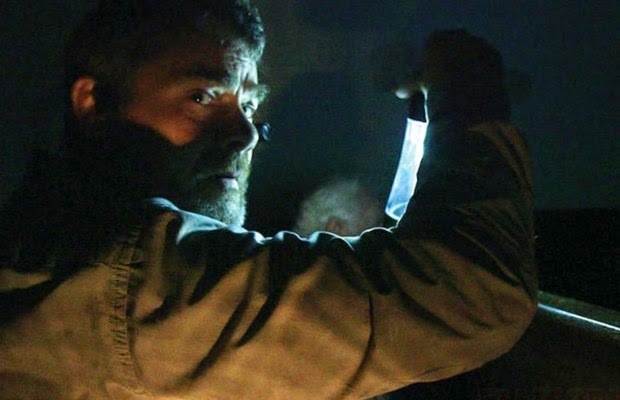 The best found footage films are able to harness the chaotic nature of the format, yet also be technically adept enough to show you everything you need to see. Blair Witch did it. [REC] did it. And now The Borderlands has done it. The other thing it shares with those two classics is one hell of a finish. Even several days later, I am still thinking about it. I woke up the next day and wondered if it, in fact, had ended that way, or if I just dreamed it. The film's conclusion was as bizarre as it was disturbing and I don't think I've seen one as horrifying in quite some time. Gordon Kennedy as Deacon in The Borderlands. If you haven't figured it out yet, I am a big fan of this movie and urge you to seek it out. Where can you see it? Well, Imdb lists a domestic release of Feb 24th, and even though a company called Grindstone bought the US rights about a year ago, I couldn't find anything more about actual distribution. So who knows? All I can say is, keep your eyes peeled.